Congratulations! 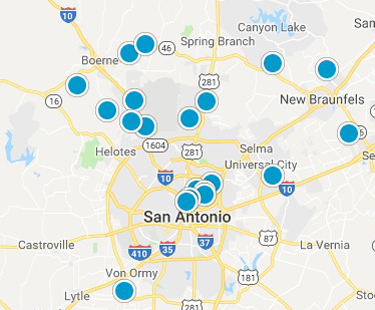 You've just discovered the easiest way to search for San Antonio condos online. Are you looking for luxury San Antonio condos for sale, Medical Center condos for sale, Alamo Heights condos, New Braunfels condos for sale or downtown condos for sale? Browse through all condominiums on the market and request information on your favorites. We also may have additional preconstruction information. Compare pictures, virtual tours, prices and amenities before you visit. Choose from downtown San Antonio highrise condos for sale to golf-course townhomes for sale to active adult condo communities for sale we offer a range of condo options for those who prefer the San Antonio condominium lifestyle. Coppertree Ph I III Bldg.